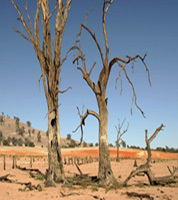 Flood and drought events, increases in sea level rise and bush fire intensity have all been predicted to increase in frequency due to climate change. This research examines how climate change impacts rural and regional communities and how communities are adapting. It considers the barriers to adaptation and offers insights into how government policy might be reframed to think of affected areas in terms other than 'crisis-ridden'.